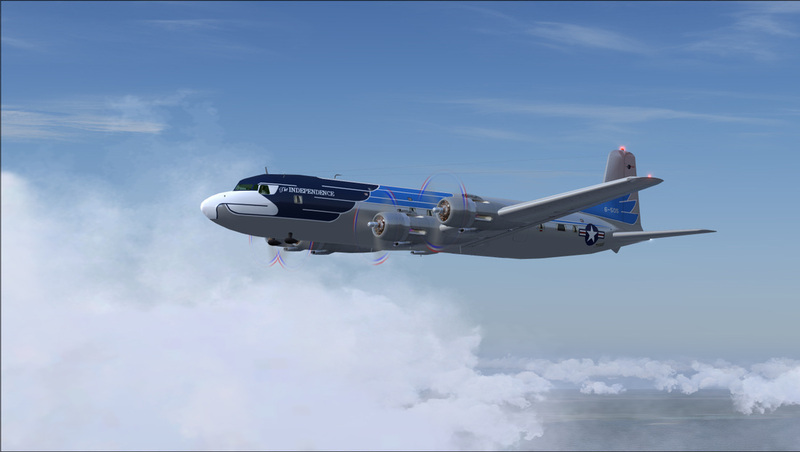 VC-118 "The Independence" used as President Truman's personal aircraft. 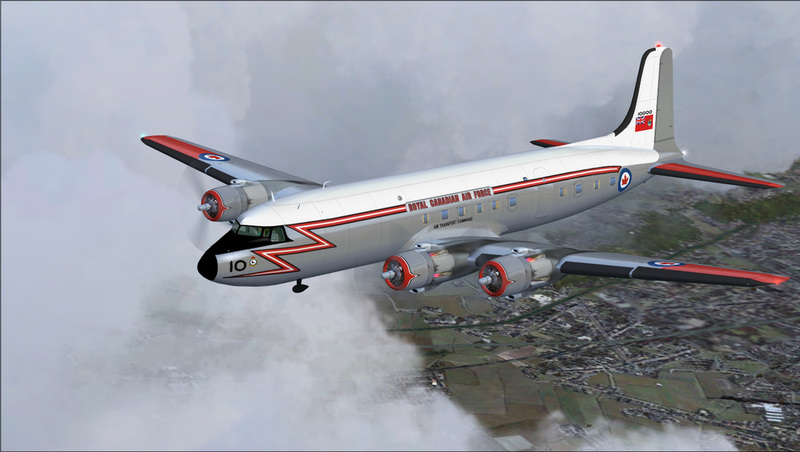 Repaint is based on the aircraft at the National Museum Of The United States Air Force in Dayton Ohio. 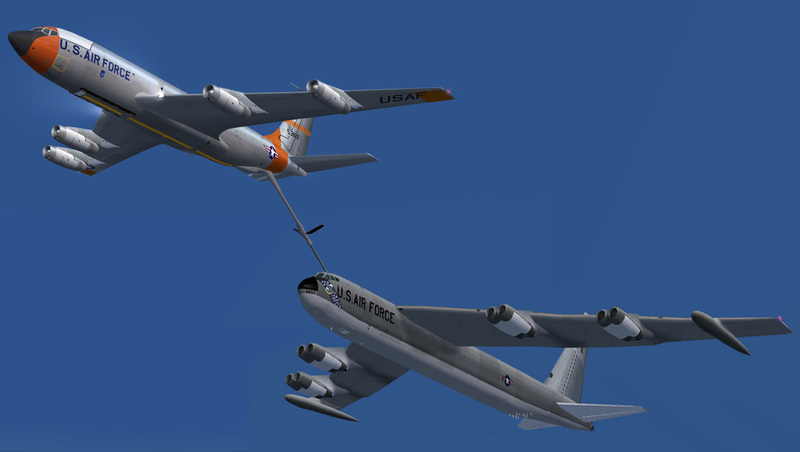 Aircraft was retired for display at the museum in 1965, and during 1977-1978, museum personnel restored it to its present day form. 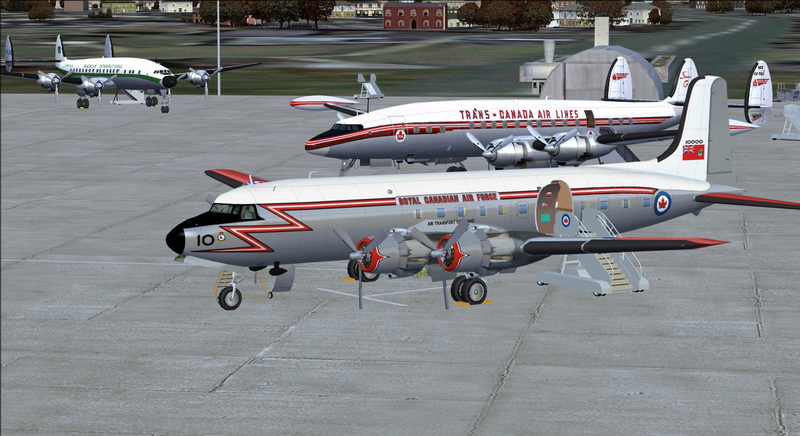 Actual aircraft does not have the football looking aerials. 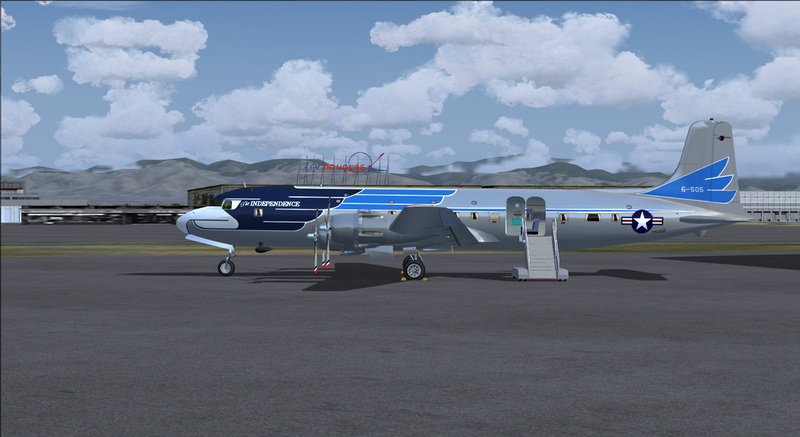 Another feature that is missing is the navigator dome. 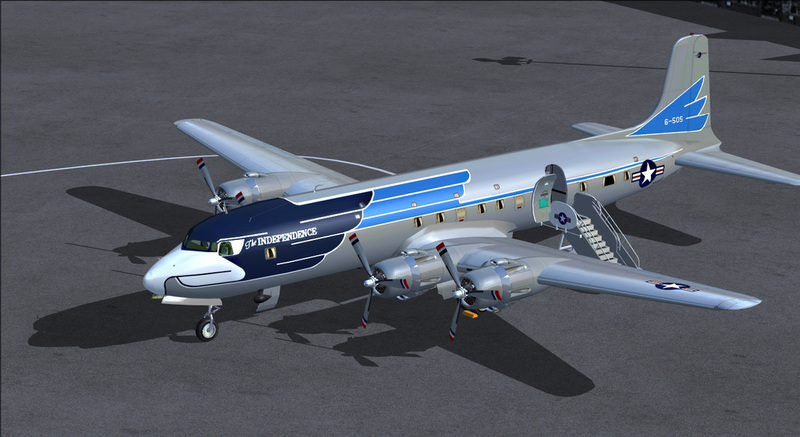 The JBK model does have it but not a modeled air stairs which I prefer more, just a matter of taste here. 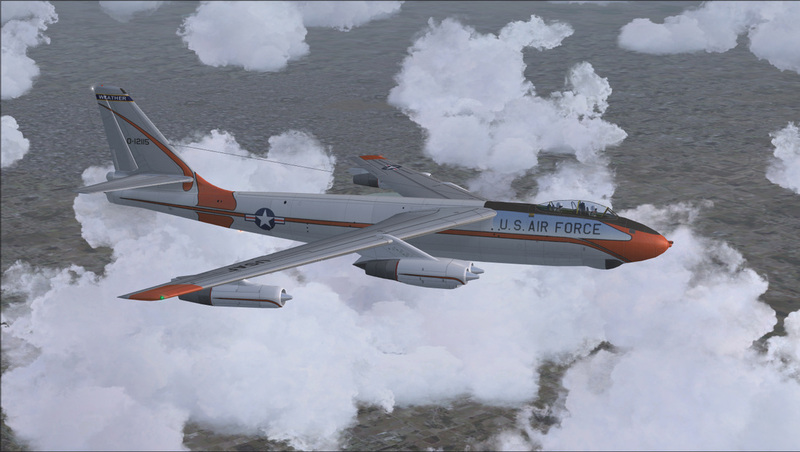 B-47E Alphasim model, original re-paint. 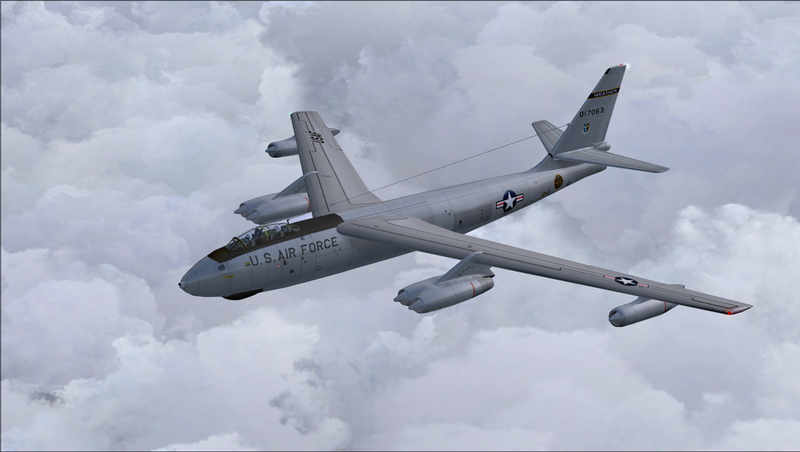 WB-47B, In 1956, a single B-47B (WB-47B-0-12115) was converted into a WB-47B weather reconnaissance aircraft and operated by the Military Air Transportation Service (MATS), making it one of the few B-47s that wasn't operated by SAC. 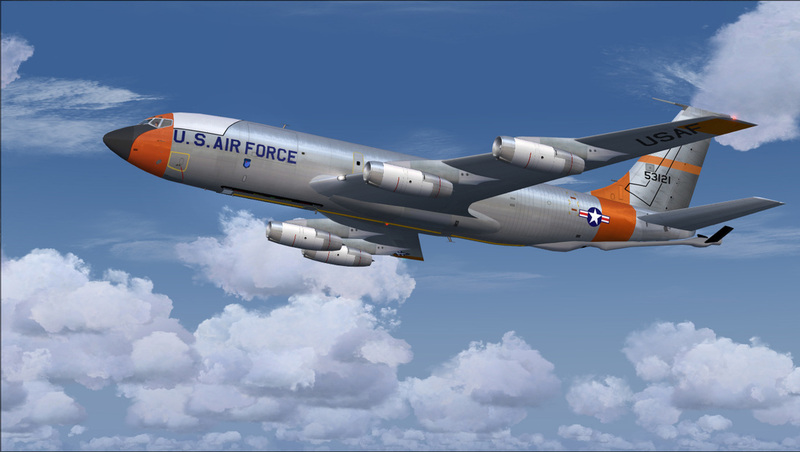 This aircraft remained in service with the Air Weather Service of the Military Airlift Command (MAC) until the mid-1960s. 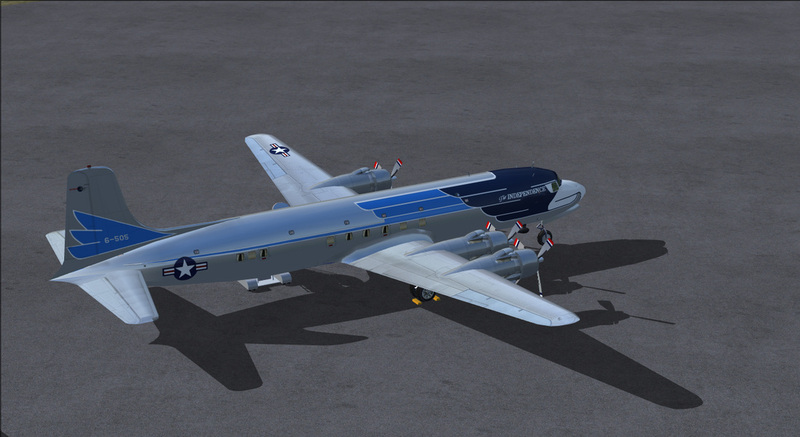 C-124 Jens B Kristensen model. 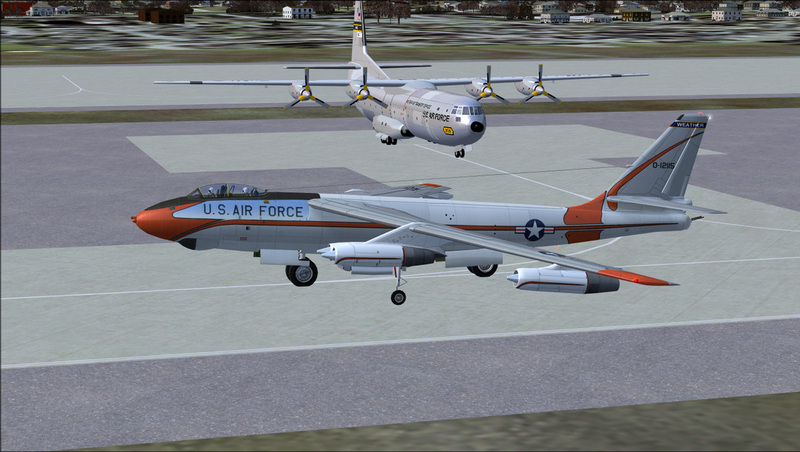 RB-50F and TB-50H, Tom Kohler model. 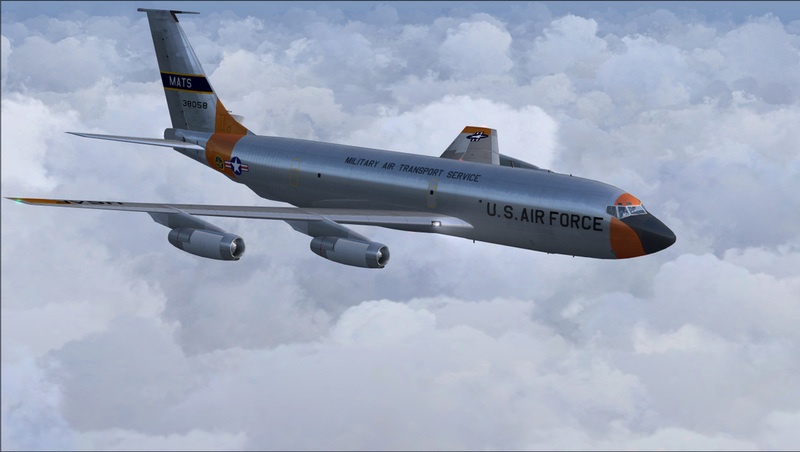 KC-135A USAF 5321 circa late 50's early 60's. 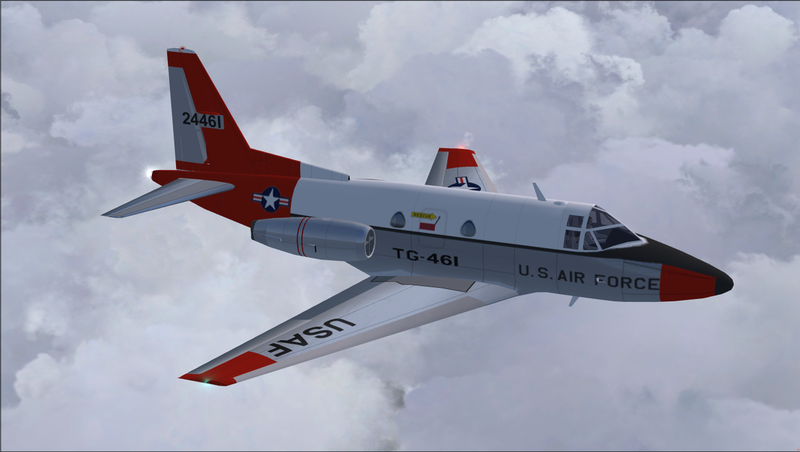 Wright Air Development Center, Air Research & Development Command, USAF Serial: 53121 (55-3121). 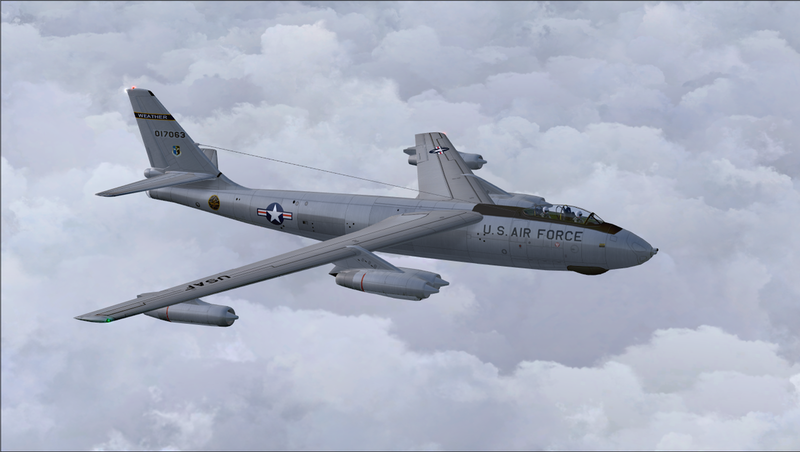 Wright-Patterson AFB, Ohio, 1959. 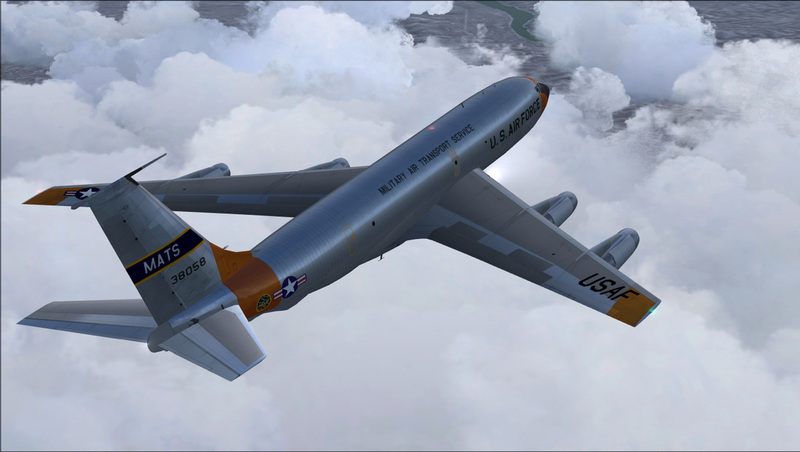 KC-135A 55-3121 is perhaps the most historically significant airframe in the entire C-135 family. 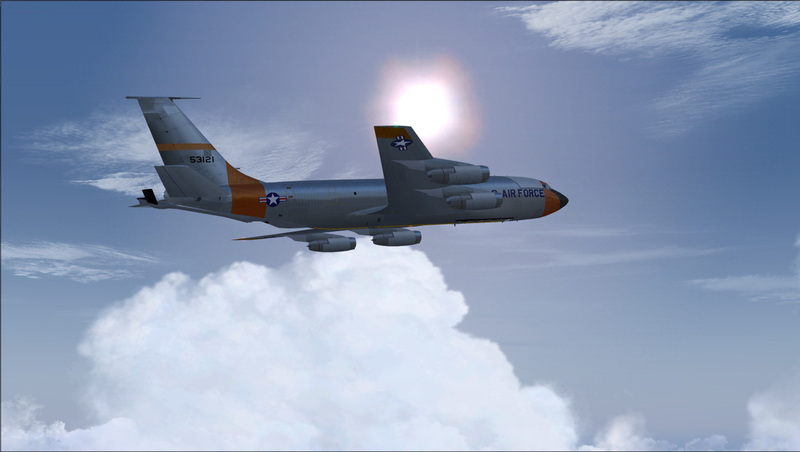 She was the first KC-135A handed directly to the USAF from Boeing's assembly line, rather than being retained for company testing. 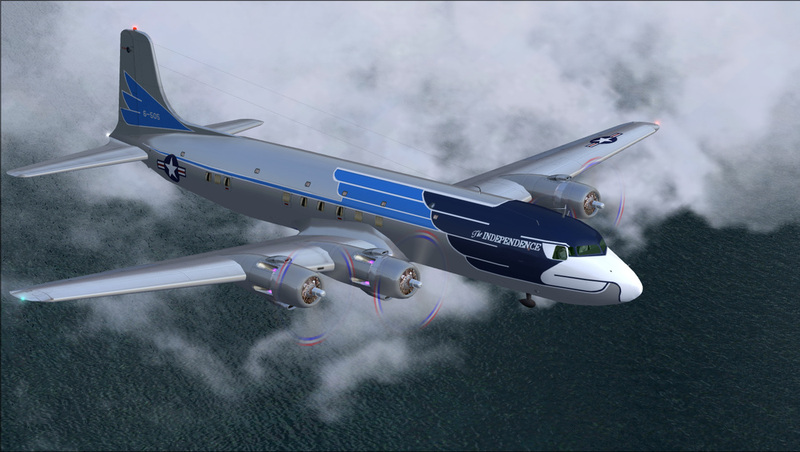 She is shown here as she appeared early in her career as a testbed with the ARDC's Wright Air Development Center in the late 1950s. 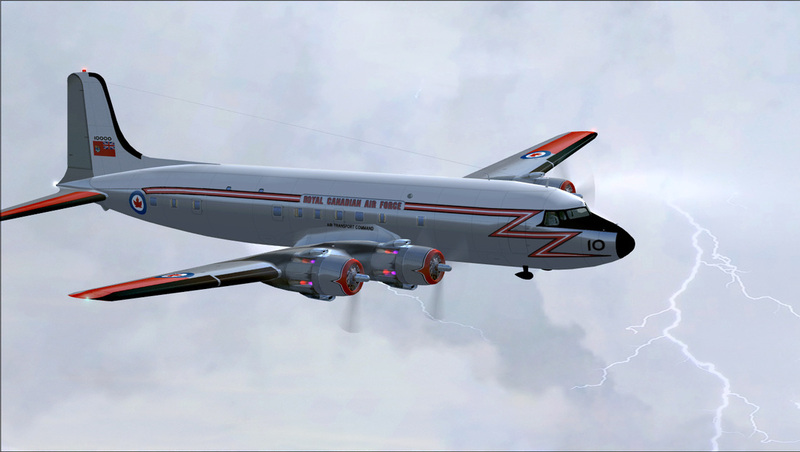 At this time her duties included Arctic and desert testing, adverse weather testing, and she was used as an icing test spray aircraft. 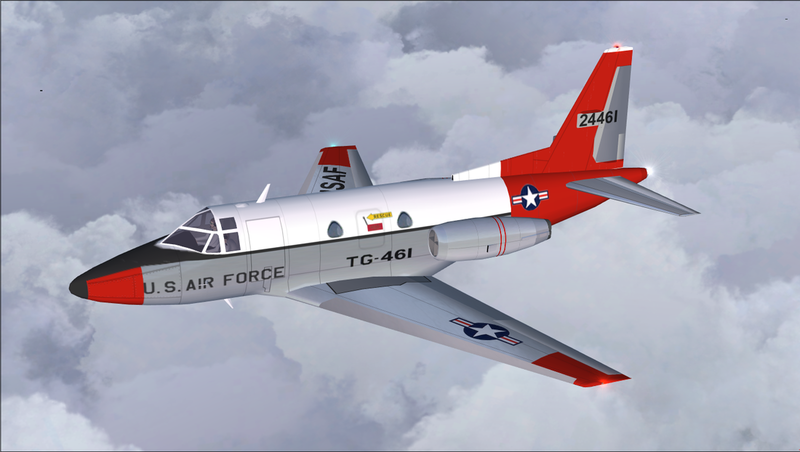 The color scheme is fairly standard for the late 1950s, with fluorescent red-orange (faded by the sun to a more orange color) and a fashionable white crown over the cockpit area.